I’m a big fan of “Cooks Illustrated” magazine. I have every annual bound volume since it began publishing in 1993, as well as number of their cookbooks. I don’t always agree with their assessment of what “the best” is, but their recipes are dependably good. When I saw the company had put out a book called “The Best Light Recipe,” I knew I wanted the book. I am always looking to cut calories and fat from my diet, but I just can’t hack some of the “light” fare that’s out there. I had a feeling the Cooks Illustrated book would strike the right balance between taste and calories, and use only convenience foods that actually taste good. At first glance, my assumptions appeared to be correct. 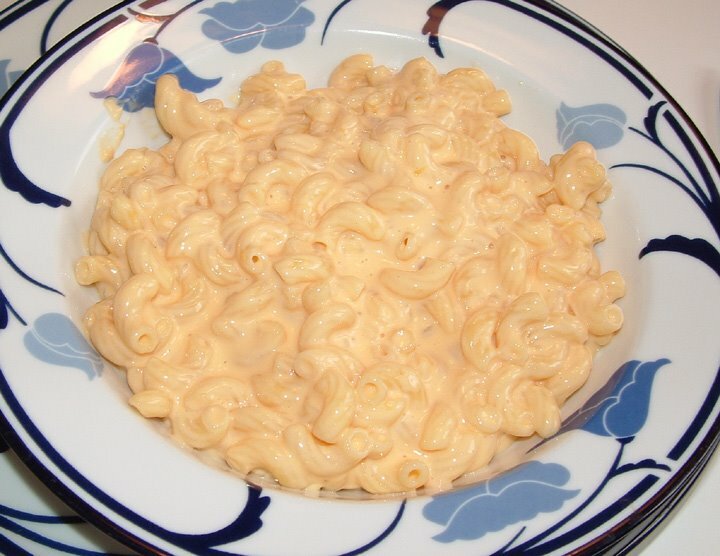 I made my first recipe from the book -- Everyday Macaroni and Cheese. It was very creamy, kind of like the frozen Stouffers stuff, but with a sharper flavor. I prefer a baked macaroni and cheese, but this was good for weeknights. My kids even liked it. Bring 2 1/2 quarts water to boil in a large saucepan. Stir in 2 teaspoons salt and the macaroni; cook until the pasta is completely cooked and tender, about 5 minutes. Drain pasta and leave it in the colander; set aside. Add the evaporated milk, ½ cup of the milk, mustard, other seasonings (if using), and ½ teaspoon salt to the now-empty pan. Bring the mixture to a boil, then reduce to a simmer. Whisk the cornstarch and remaining 1/4 cup milk together, then whisk it into the simmering mixture. Continue to simmer, whisking constantly, until the sauce has thickened and is smooth, about 2 minutes. Off the heat, gradually whisk in the cheddar until melted and smooth. 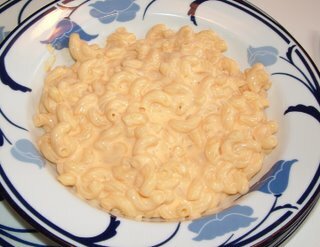 Stir in the macaroni, and let the macaroni and cheese sit off the heat until the sauce has thickened slightly, 2 to 5 minutes, before serving.